What’s better than an EBG office celebration? One with co-workers in costume! 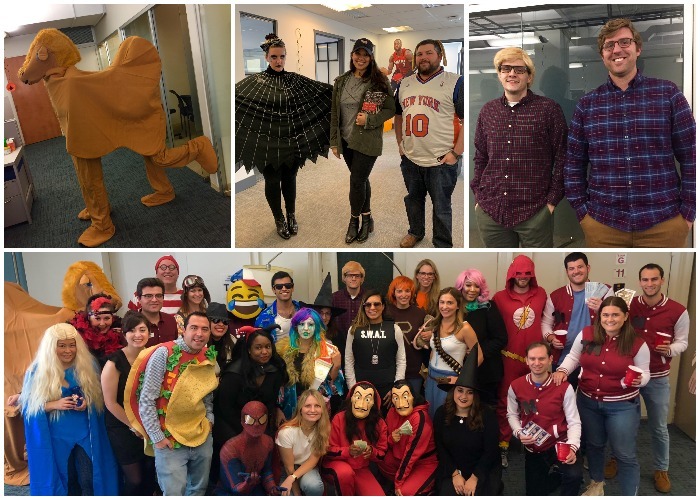 From Orlando to New York to Miami to Las Vegas, the ghouls and gals of EBG dressed up in their most creative costumes, and enjoyed a variety of frights and delights to celebrate the spooktacular holiday. 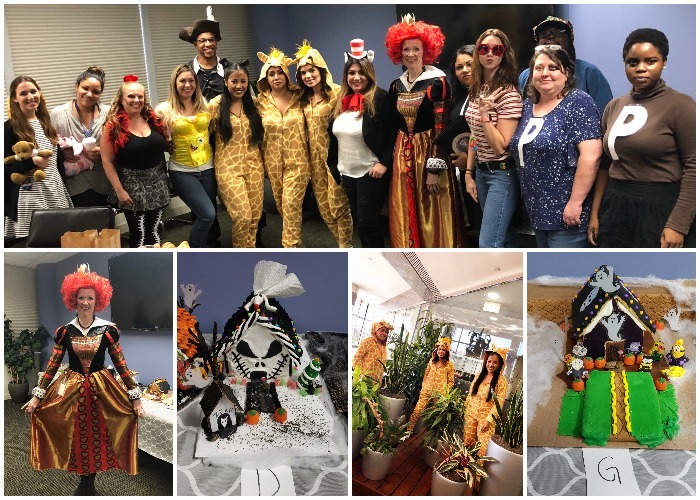 It was no surprise that the Orlando team pulled out all the stops with the HR team’s show-stopping re-creation of Michael Jackson’s “Thriller.” The day featured a delicious feast and sinister fun, including their annual haunted house contest. We’re talking next-level haunted houses, filled with all the gruesome sights and endless frights of the season. At EBG New York City, a hilarious, life-size camel strutted into the office and reminded everyone what day it was. The team indulged in sweet treats and showed off their Halloween finery, from Spiderman and Waldo to a glamorous spider. In Aventura, gingerbread season started early this year. It was a haunted gingerbread house showdown – and a chilling Nightmare Before Christmas house came out on top. As for the best costume winner, a herd of giraffes led the pack, but were joined by the Queen of Hearts, a pirate, the Black-Eyed Peas and more! 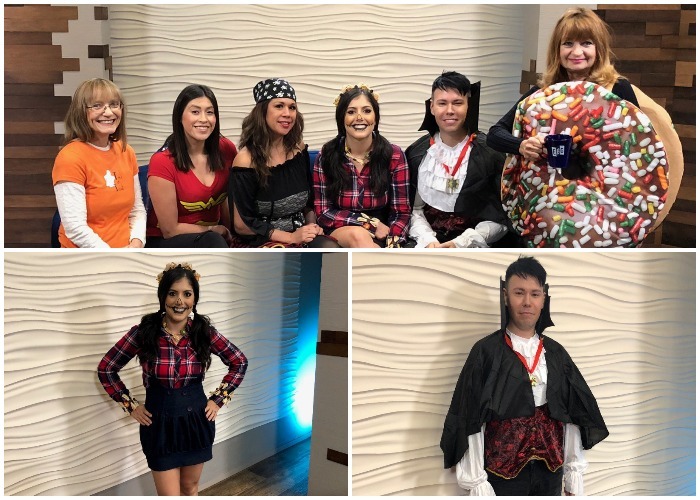 There was no shortage of Halloween thrills on the West Coast as Las Vegas team members rocked cool costumes including a doughnut – equipped with our iconic EBG coffee mug – a scarecrow and vampire. From coast to coast, Halloween at EBG is a team-building, morale-boosting celebration, and a great reminder: We take fun seriously!